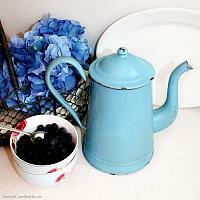 Antique Enameled Coffee Pot in a beautiful color, a blue that hints at the French ocean. Nice larger size, the very top rim has a red accent, c'est magnifique! These are getting more rare to find in this condition. 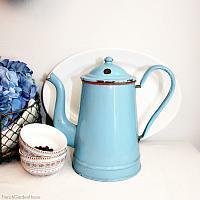 A decorative addition to your antique enamelware collection. This pot has a goose~neck and "split end" spout. 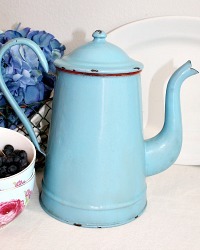 Of note, loss to the enamel on the lid, and inside the pot. 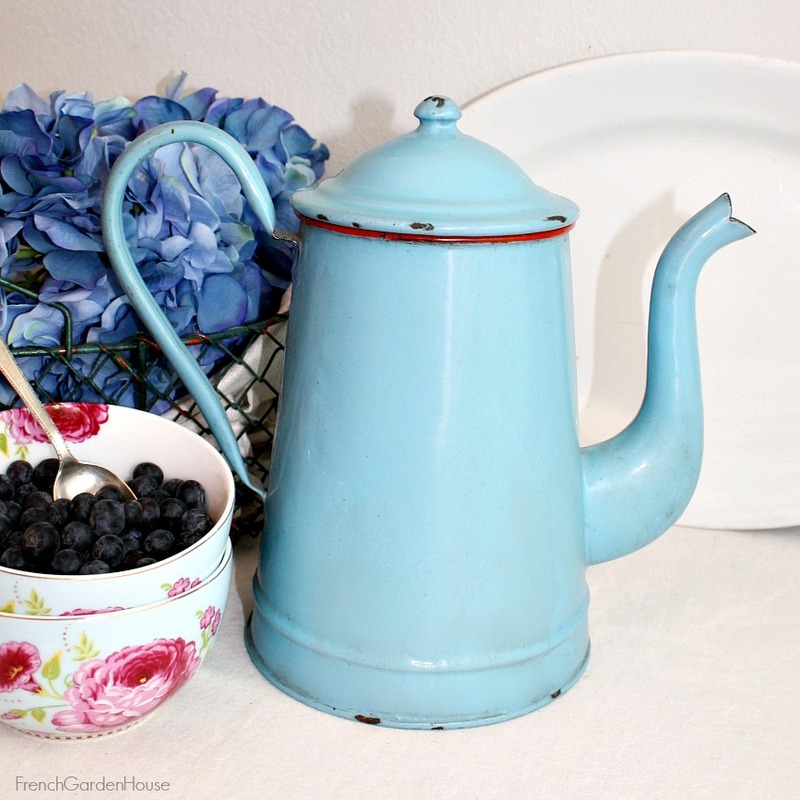 This piece has been loved and used in a French family home and cuisine for almost a century. Display this in your French country home, an exquisite addition to your collection.